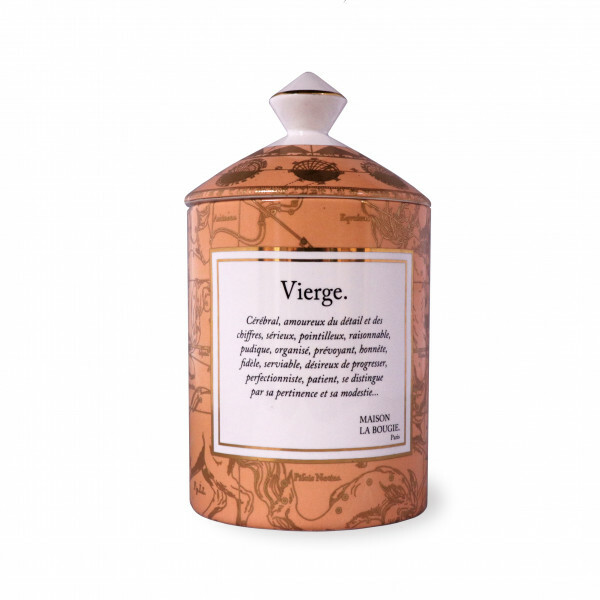 Home > Store>Women>Candle zodiac sign "Virgo"
Candle 300gr porcelain Limoge, entirely made in France. A specific scent has been developed for each sign of the zodiac. The candle is embellished with a description of the personality corresponding to the sign.